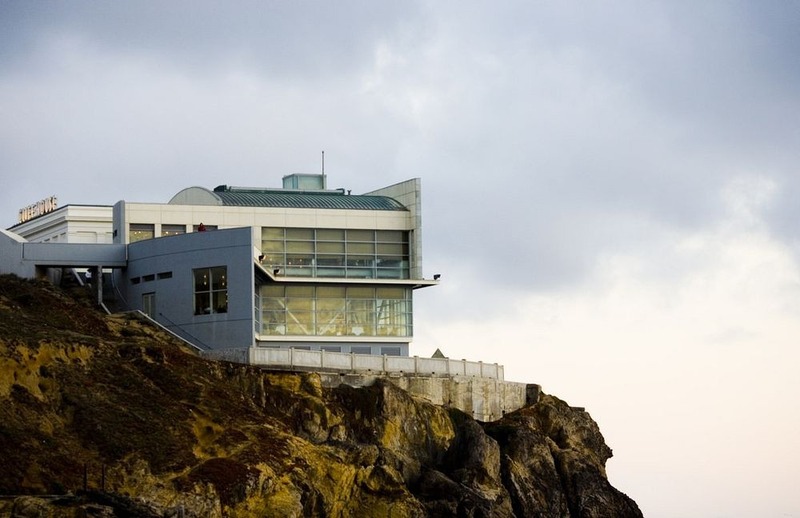 Perched on the edge of a cliff, overlooking Ocean Beach, in San Francisco, is one of California’s oldest restaurant famous for its panoramic views and delightful cuisines. The flat-roofed, neoclassical, steel-reinforced concrete structure called the Cliff House was built in 1909, but it was not the first one to be built here. The original Cliff House was constructed in 1863 as a fashionable resort to attract San Francisco's recently-turned-wealthy residents. It was a modest one-story wood-frame structure that provided breathtaking panoramic views of the Pacific Coast line. In 1881, the Cliff House was bought by millionaire Adolph Sutro, who later became mayor of San Francisco. Sutro wanted to turn the restaurant into a wholesome, family-friendly venue. 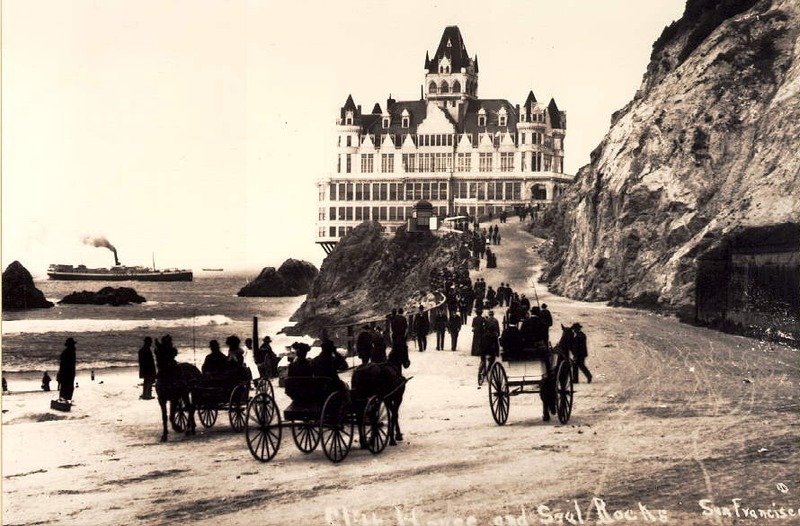 To that end, he had the rooms remodeled, hired a new management, and was in the process of constructing a railroad to bring visitors to this remote seaside attraction when a fire broke out on Christmas Day, 1894. It gutted the entire wood-framed building. 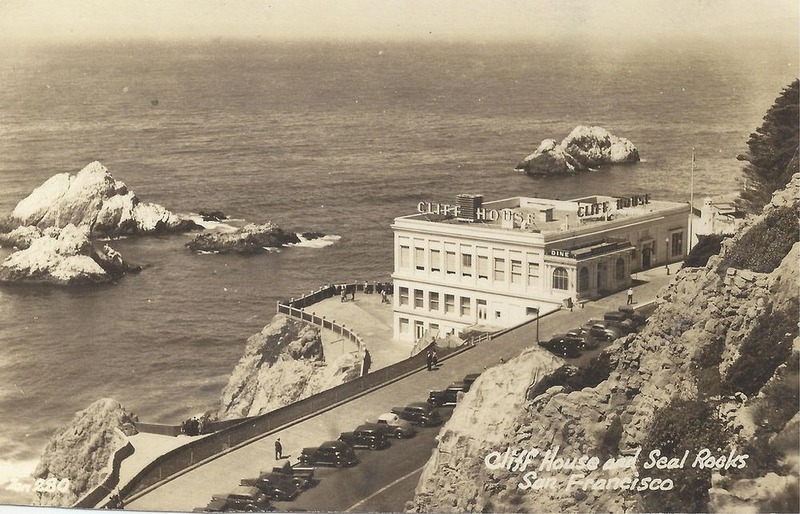 Within two years, Sutro had built and opened a new Cliff House. The new building was a grand seven-story Victorian castle with turrets, decorative spires, fanciful roof dormers and an observation tower. 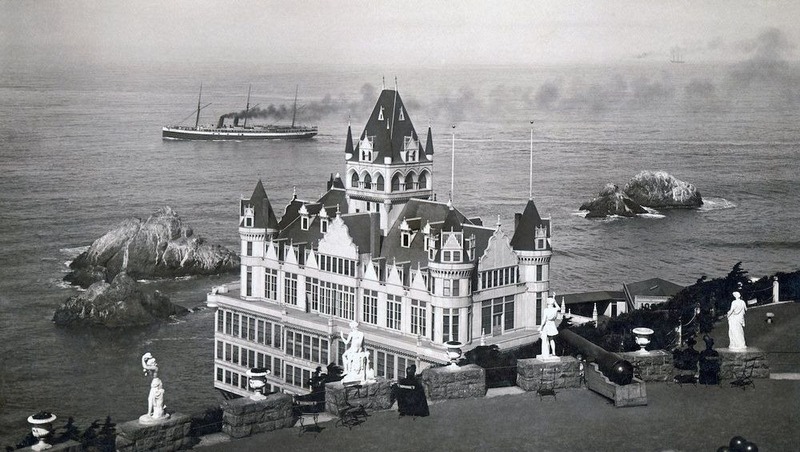 It had several private dining rooms, parlors, bars, a large art gallery, a gem exhibit, a photo gallery, and an open-air veranda on the upper floors. 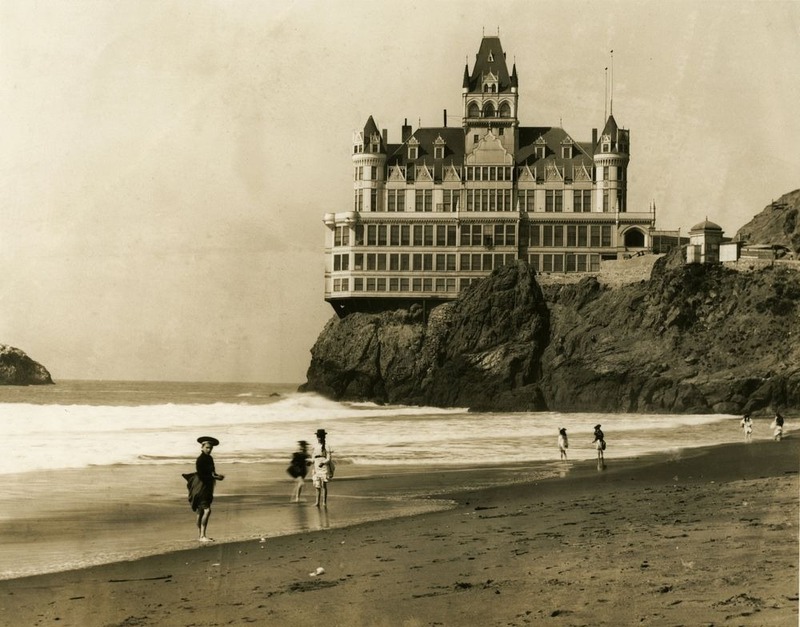 The new Cliff House, dubbed "the Gingerbread Palace", became the most photographed incarnation of the house. 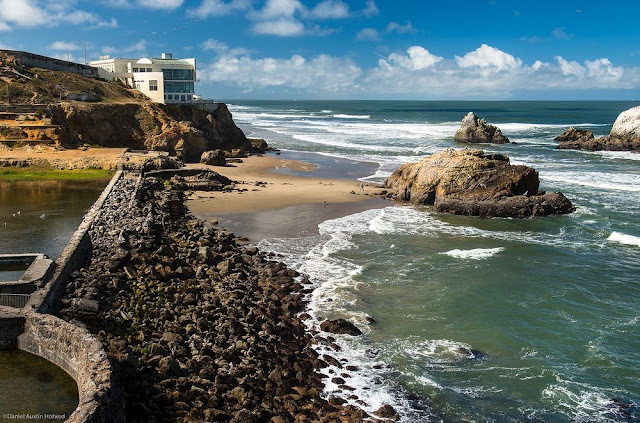 The most impressive part of the complex were the Sutro Baths located in a small cove immediately north of the restaurant. It was a massive glass-enclosed building containing a fresh water pool and six salt-water pools, all maintained at various temperatures. The baths were 150 meters long, 77 meters wide and held 1.8 million US gallons of water. During high tides, water would flow directly into the pools from the nearby ocean, recycling the nearly two million US gallons of water in about an hour. 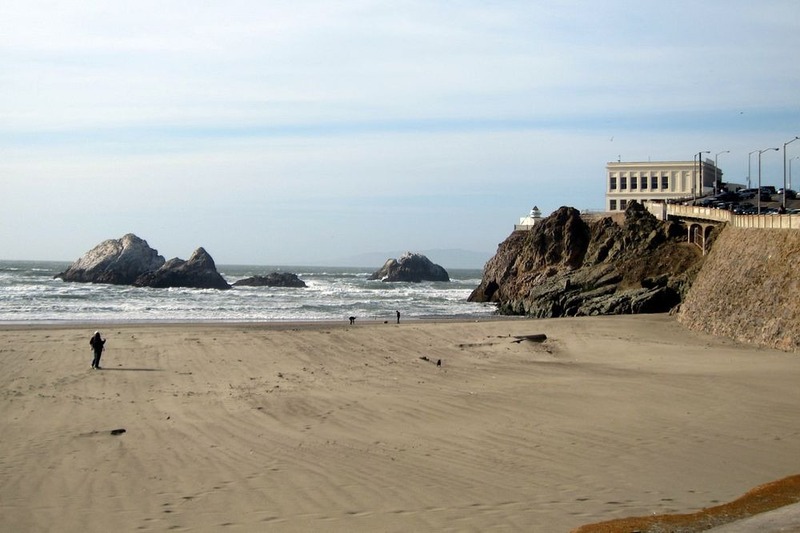 During low tides, a powerful turbine water pump could fill the tanks in about five hours. The Baths had more than 500 private dressing rooms with facilities for 20,000 bathers. There were slides, trapezes, springboards, and a high dive. The complex also had a museum with an extensive collection of stuffed and mounted animals, and a 2,700-seat amphitheater. Unfortunately, the restaurant’s existence was short-lived. 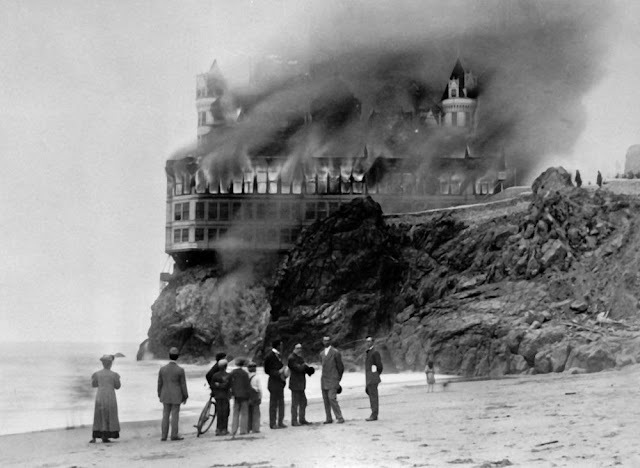 Eleven years later, in 1907, another fire razed the building to ground. 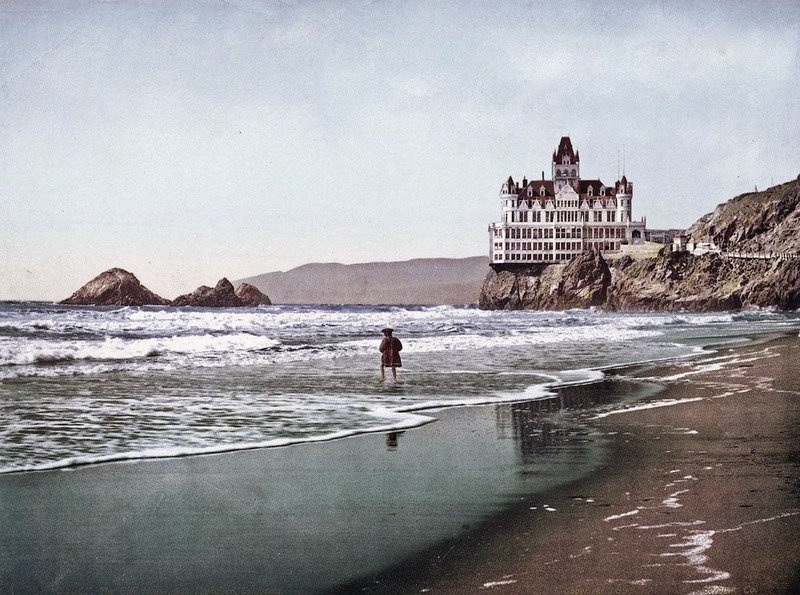 The current building is the third version of the restaurant built by Adolph Sutro’s daughter Emma Sutro Merritt. Because of the restaurant’s past history with fires, the new building was built with fire-resistant steel-reinforced concrete. 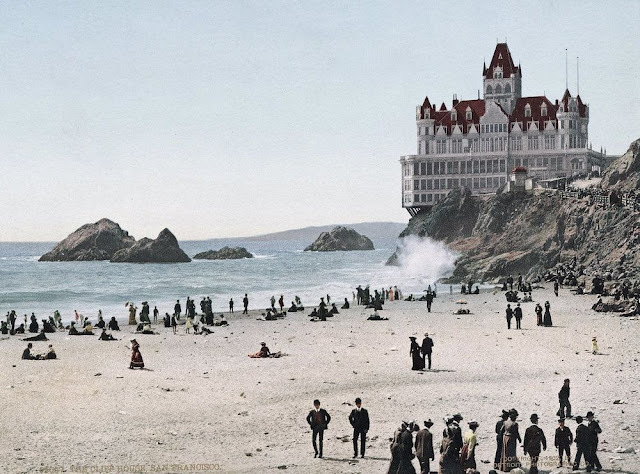 In fact, a lot of new buildings in San Francisco were constructed out of concrete after many of the city's wood-frame buildings were destroyed by fire following the 1906 San Francisco earthquake. The baths existed until the 1930s when they were converted into an ice skating rink. But the rink failed to take off. Eventually, the baths were sold off to a property developer who began demolishing the tanks so that some high-rise apartments could be erected. A mysterious fire in 1966 brought the project to an end. 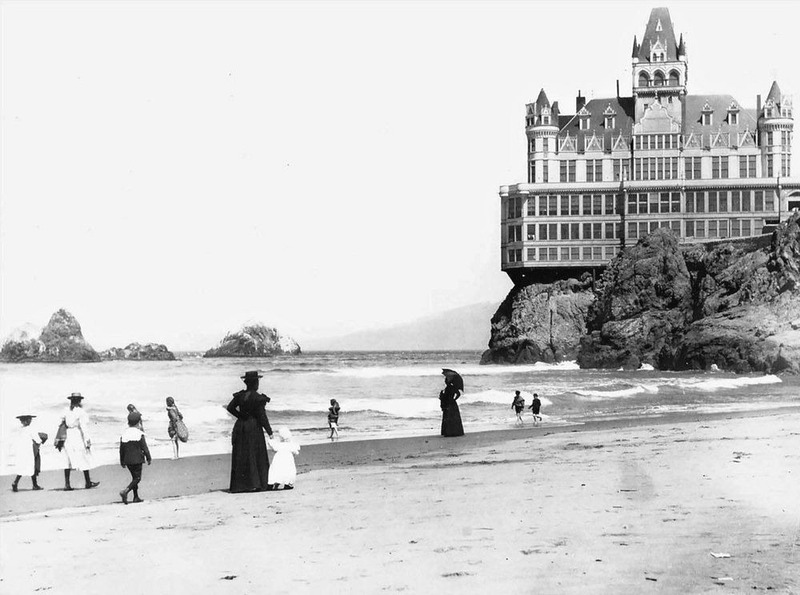 In 1977, the National Park Service acquired the property and it become part of the Golden Gate National Recreation Area. The partially demolished Sutra Bath ruins are still there to explore.